is for the future, just as much as for the present, to re-manufacture and supply the parts we need to keep our cars on the road, where no other source can supply that need. We are not in competition with any commercial organisation (quite the opposite, in fact!). 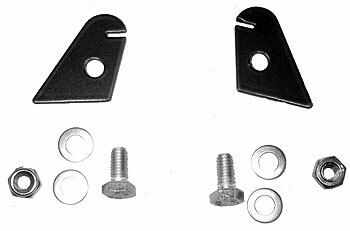 Anyone can buy SPOG parts at the full list price, but 2CVGB Members qualify for a 30% discount on all SPOG items. In addition, members and trade customers can buy Discount Units entitling them to up to a further 20% off. Purchasing Discount Units will save you money every time you buy from SPOG and, at the same time, help us fund further projects. 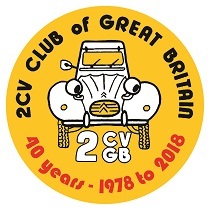 If you're not a Club member, why not join 2CVGB? We're only a click away! 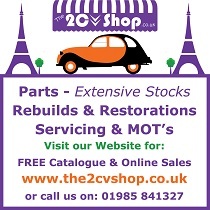 Regarding the business of buying parts from SPOG, just e-mail or telephone me with your requirements using stock code numbers and how many (if more than one) of each item you want please. Also I will need your name, address and 2cvGB Membership number please, for invoicing, plus whether you are actually a SPOG group member. But worry not as I do have an accurate, up to date list of SPOG contributors. So if you confirm that you are one of its supporters, I can determine the level of your investment and how much discount you are entitled to. Goods go out, usually via Royal Mail, within a few days of your order. 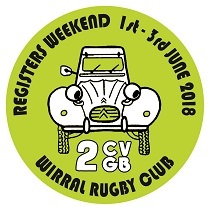 However I do ask you to remember that I am simply a volunteer and manage SPOG simply for the fun of it all (allegedly) although sometimes family commitments have to take priority. However I will do my best to see that you get supplied as soon as possible. 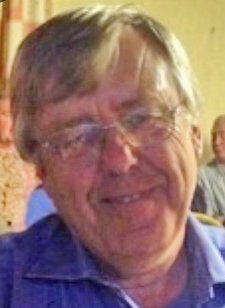 After goods are sent out I duly notify our Treasurer (Mark 'Bean' Dunn) of your order to include any relevant carriage costs and he will send you an invoice electronically. Mark prefers settlement by internet monetary transfer if at all possible. But we still know where to find a Lloyds Bank if you want to pay by cheque. These financial establishments haven’t totally disappeared from the High Street … yet.